Hellfire Electronic Drum Systems - 2BOX DRUMIT 5 MK2, Almost here! Home eDrum News 2BOX DRUMIT 5 MK2, Almost here! 2BOX DRUMIT 5 MK2, Almost here! 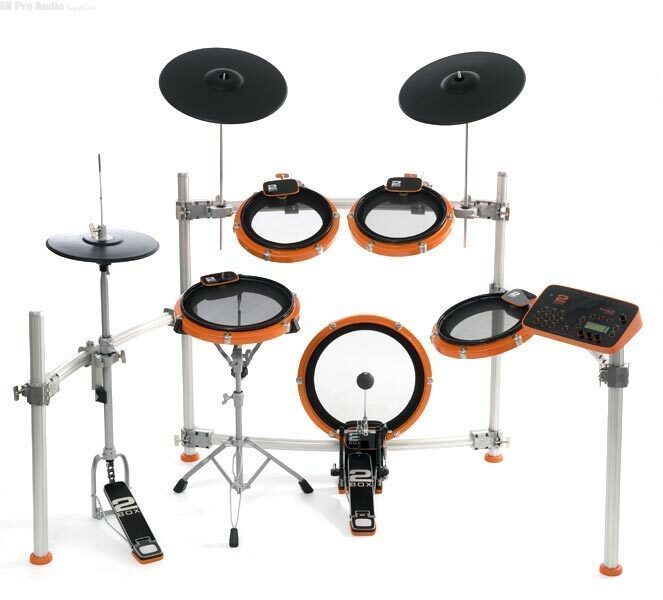 This newly updated electronic drum kit was originally announced in July of this year and it is just about ready to ship. The first thing you will notice is the much needed update to the rack system. For a more detailed look at the new rack system, I would suggest downloading the 2box Rackstand Mk2.pdf. 2BOX has also updated the hi-hat stand, added a stand alone snare stand, and update many features to the modules OS. For more information on the new 2BOX Drumit 5 MK2 be sure to visit their web site at: www.2box.se. If you would like to be part of the growing 2Box community, be sure to also check out the Unofficial 2Box forum! There you will meet many members who use 2Box Drumit 5 equipment and you too can join in on the conversation. Does 2Box have a USA distributor yet? Or will we have to order these from Canada or Europe? Not yet. I’m hopping 2Box starts distributing in the USA soon. The MKII looks much better to me than the first model. I think there might to a distributor in Canada but I don’t remember the name of it. NAMM 2009 Show is coming!!! !